I found Ara’s site by searching for Sweeney Todd miniatures out of curiosity (you’d be surprised at how many different types of miniatures there are based on movies or stories). 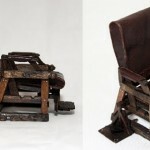 See the infamous barber chair in the gallery below… it even drops back like in the movie! 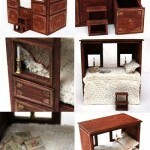 Also, if you visit Ara’s blog, you’ll see that the whole blog and her dollhouse is based off the Addams Family theme. 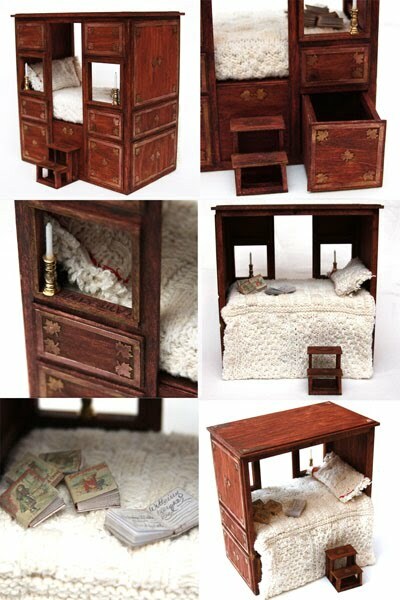 You know, I really never thought of building a dollhouse based on a theme, but I think my next project will be based off something. I’m just not quite sure what it is yet. Heck, I’m no where near complete with my dollhouse, so I’m getting a bit ahead of myself here. But I digress. I recommend that you check out Ara’s blog and her Esty shop too!